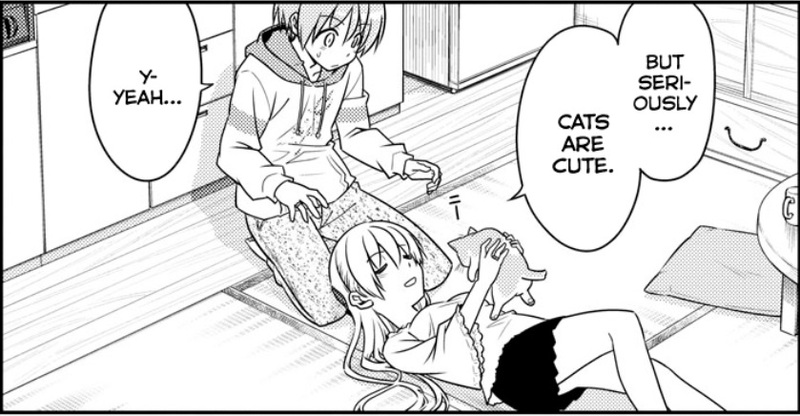 AstroNerdBoy reviews Tonikaku Cawaii Chapter 52. Nasa learns the joys of owning a cat. Kaname spies on Tsukasa and Nasa as they start to make out.